A noir thriller/visionary fantasy set in the failed state of Ambergris, 100 years after Shriek: An Afterword. The gray caps, mysterious underground inhabitants, have re-conquered Ambergris and put the city under martial law, disbanding House Hoegbotton, and controlling the human inhabitants with strange addictive drugs, internment in camps, and random acts of terror. The rebel resistance is scattered, and the gray caps are using human labor to build two strange towers. Against this backdrop, John Finch, who lives alone with a cat and a lizard, must solve an impossible double murder for his gray cap masters while trying to make contact with the rebels. Nothing is as it seems as Finch and his disintegrating partner Wyte negotiate their way through a landscape of spies, rebels, and deception. Trapped by his job and the city, Finch is about to come face to face with a series of mysteries that will change him and Ambergris forever. 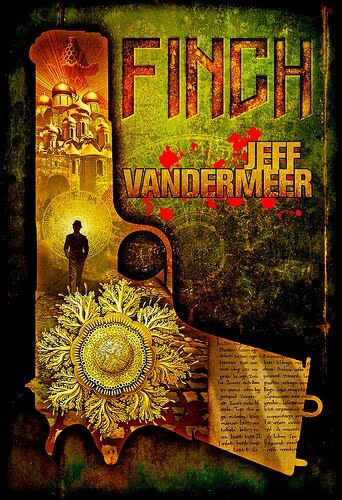 Finch by Jeff VanderMeer is the third book in his Ambergris Cycle. VanderMeer returns to fungus-laden Ambergris with Finch, a dark, atmospheric noir. And while it is a gritty police procedural, it's also a genre-bending fantasy/science fiction novel. John Finch has a double murder to solve, but the real danger is in dealing with the living, including the fungus. I don't want to say too much more about Finch because I don't want to give away any of the plot twists and turns. There is plenty of intrigue. Since it is set 100 years after Shriek, there have been some big changes in Ambergris. The Gray Caps are now in charge, but they also have a hidden agenda. Other's involved in the investigation have their own plans. Everyone is trying to manipulate each other. Even Finch has secrets. VanderMeer's writing and the complicated, layered plot make this a joy to read. Personally, I think you really need to have read the other two books, City of Saints and Madmen and Shriek: An Afterword, to fully appreciate Finch, although the book can stand alone. "While remaining true to an overarching narrative about the history of Ambergris, each book has used the approach and style best suited to its characters and stories. The first Ambergris novel, City of Saints and Madmen, was a mosaic novel composed of multiple narratives that played with postmodern techniques, mixing formal experimentation with the tropes of weird, uncanny fiction. That first book used a stylized, baroque approach to language and was dedicated to the idea of book-as-artifact. "The second novel, Shriek: An Afterword, presented a sixty-year family chronicle through the eyes of a dysfunctional brother and sister, whose dueling voices form the heart of the book. Although steeped in war, intrigue, and bizarre events, Shriek lay more in the realm of works by Vladimir Nabokov and Marcel Proust - dreamlike yet precise, chronicling the unhappy, the strange, the quirky. Interrogator: What did you see then? Finch: Nothing. I couldn't see anything. I: Had you ever met the Lady in Blue before? Then Finch's eyes adjusted to the light from the large window and he saw: living room, kitchen. A sofa. Two wooden chairs. A small table, an empty vase with a rose design. Two bodies lying on the pull rug next to the sofa. One man, one gray cap without legs. "What's the situation?" Finch asked. "Who reported this?" Finch asked. "An energy surge came from this location," Heretic said. "we felt it. Then spore cameras confirmed it." Energy surge? What kind of energy? "Write down whatever you encounter, whether you understand it or not." I read Finch in Feb/March last year and it was my first experience with Vandermeer's writing. I had read that it could act as a stand alone and while it was a tiny bit difficult to wrap my head around, after about 20 pages I was sucked in. 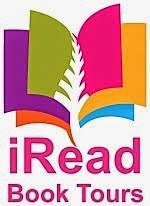 Great novel. My only complaint, and it was minor, is that I felt he had too much important action at the end happening off stage. But that is a tiny complaint in an otherwise unique and engaging genre-melding book. Having loved The Third Bear I went out and picked up City of Saints and Madmen the other day just so I could have more Vandermeer waiting for me on my bookshelf. After reading the Ambergris Cycle, I'm looking forward to reading VanderMeer's The Third Bear in the future. I really enjoyed his writing. Since you enjoyed Finch, you're in for a treat with City of Saints and Madmen. Great! I'm glad to hear it. I need to get over to his blog more often...but there is never enough time.